For normal skin. Take 2-3 plums, clean from peel and knead. Add ½ tea-spoon of sour cream and 1 tea-spoon of starch. Mix everything and put on the face and neck for 20-30 minutes. Then wash with warm water. For normal and grease skin. Make juice from one peach. Add some milk and 1 table-spoon of oatmeal. Mix everything and put on the face for 20-30 minutes. Then wash with cold water. Here is another variant of this mask. Knead one peach and add 1 tea-spoon of starch or oat flour. 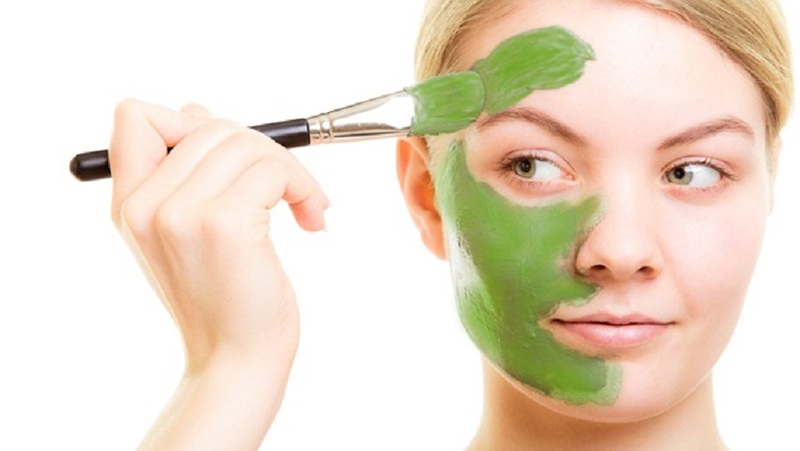 Put mask on the face for 20 minutes and then wash with warm water. For dry skin. Knead 1 peach and add some camomile infusion. Put on the face for 20 minutes and then wash with warm water. Nourishing lotion for dry skin is made from melon. Make juice from some layers of melon. Mix 1 table-spoon of juice with the same amount of boiled milk and mineral water. Clean face and neck with melon lotion twice a day. I want to remind that melon contains vitamin A, which is responsible for beauty and youth of skin. Also melon lotion has whitening effect. For grease skin and skin with acne I recommend tomato mask. Put on the face layers of tomatoes with beaten white of egg. And clean acne face skin with mixture of tomato juice and glycerin. For any type of skin. Make juice from melon. You need 2 table-spoons of melon juice. Mix 100 gram of semolina with 1 egg yolks (beaten). Add 2 tea-spoons of honey, ½ tea-spoon of salt and finally 2 table-spoons of melon juice. Put the mask on the face and neck for 15-20 minutes. This mask nourishes, refreshes, moistens and smoothes skin.